Smartphone overuse has been linked to various health-related issues. According to a study (published in June 2017) by University of Austin, Texas, presence of smartphones reduces cognitive capacity and brain power in users even if they are not using them. A Korea University study released at the Radiological Society of North America (published in December 2017) found elevated levels of gamma aminobutyric acid (a chemical which slows down brain signals) and glutamate-glutamine (increases anxiety by firing neurons more rapidly) in young people who are more addicted to smartphones than users who are not. Smartphone can be very distracting due to the continuous flurry of emails, messages and news alerts popping on the screen. The habit of constantly checking the smartphone during dinner or in a meeting can annoy others and affect users’ social and work life. If you are struggling to cut down your smartphone dependence, here are some apps, which might help. 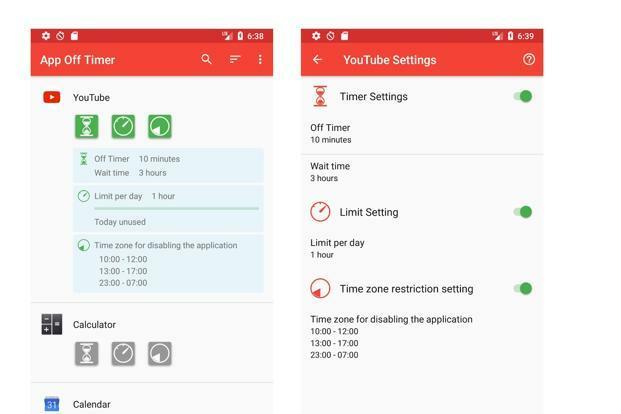 Aozora’s App Off timer is a time management tool which allows users to create a daily time limit or wait time for using an app. Aozora’s App Off timer is a time management tool which allows users to create a daily time limit or wait time for using an app. This gives it the power to monitor the running time of an app and automatically closes them for the remainder of the day when they exceed the time limit. This can be very effective for users trying to cut down on the time spent on an addictive game, social media app or video streaming app. AntiSocial is for users who are not even aware of how addicted they are to their smartphone. AntiSocial is for users who are not even aware of how addicted they are to their smartphone. 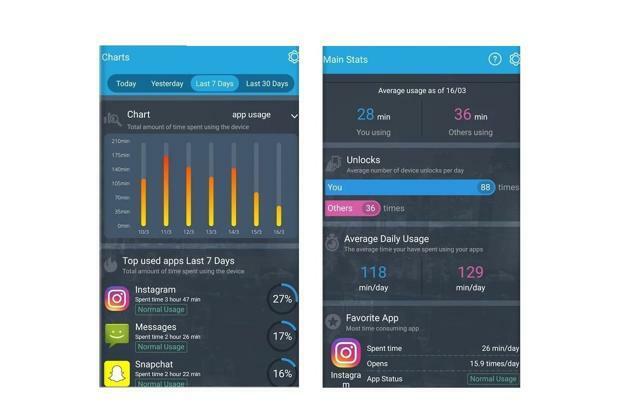 It works by providing them detailed reports on their smartphone usage, which includes number of unlocks in a day, time spent on an app and on the smartphone. It allows users to compare the usage pattern to that of other users on AntiSocial. Once users identify the area of excess, they can curb their use using the blocking tools. Forest is a self-motivational app which doesn’t try to limit smartphone use by blocking apps and calls. Instead, it makes users feel responsible for a virtual plant. Users are asked to plant a seed in the app and then wait until it grows into a tree. If users close the app, in between, to check a message or scroll through Facebook, the tree will wither away and die. 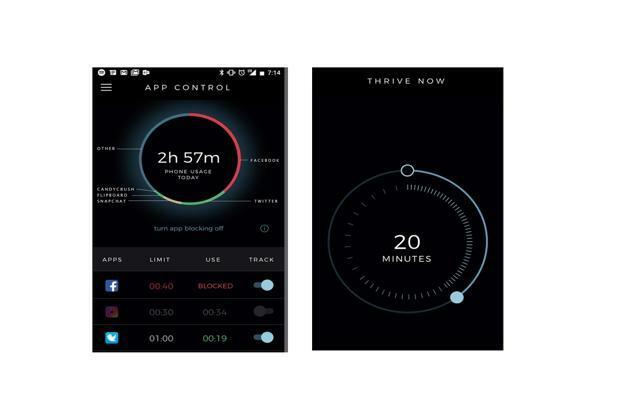 The app has a daily tracker which can tell how much time users are spending on the smartphone. Thrive blocks apps, notification, calls and text messages for a particular period of time specified by the user.